Ready or not, the next installment in the Angry Birds saga is about to hit a mobile platform near you. 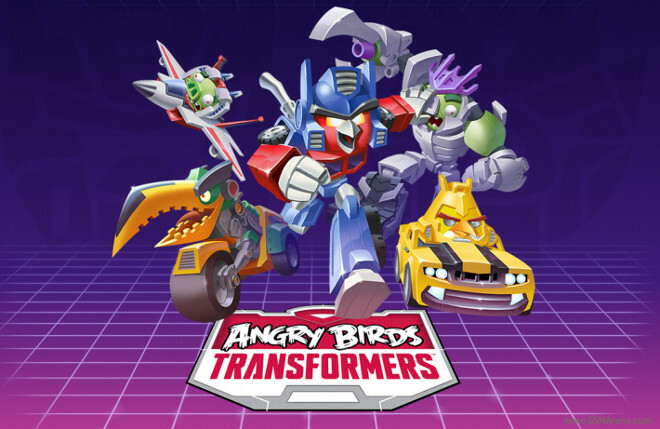 Following up the success of Angry Birds Star Wars and the recent release of Angry Birds Epic, Rovio has just announced Angry Birds Transformers. This new mash-up will star Autobirds and Deceptihogs, and aside from the mobile game you should also expect to see new licensed merchandise and a product line featuring Telepods from Hasbro. Rovio, the maker of Angry Birds, has collaborated with Hasbro before, most recently with the Star Wars version of the game and Angry Birds Go and they’ve also become Rovio’s “premier toy and game licensee”. Right now a specific release date for the new Transformers game hasn’t been announced, but more information should come soon via this special website – which promises you’ll get to play with “birds disguised as robots in disguise”.